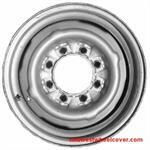 1599a, Used Rims, 16x6, 8 LUG, 6-1/2", 78-91, Ford, F250, F350, VAN, 4 SLOT, LIP AROUND CENTER HOLE, STEEL. 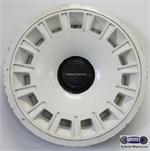 3066, CENTER CAP USED, 93-95, FORD, TAURUS, WHITE, RAISED SHO LOGO, PUSH ON, 7" DIA. 3066, CENTER CAP USED, 93-95, FORD, TAURUS, WHITE WITH RAISED SHO LOGO IN CENTER, PUSH ON, 7" DIA, FOR A 16", WILL ALSO FITS 3065. 3161a, HUBCAP USED, 14", 85-86, CHEVY, CAMARO, BERLINETTA, WHITE,15 SLOT TYPE, BLACK BERLINETTA LOGO. 475b, HUBCAP USED, 14", '90-'91, PLYMOUTH, LASER, SILVER WITH DARK GREY, 10 SLOT TYPE, WORD PLYMOUTH IN CENTER, PLASTIC CLIPS & WIRE RING. 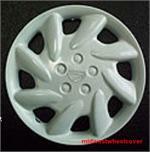 533b, HUBCAP USED, 14", 96-98, PLYMOUTH, BREEZE, 10 HOLE, WHITE. ENGRAVED CENTER, 5 FAKE WHITE LUG NUTS, PLASTIC CLIPS & WIRE RING. 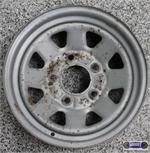 535b, HUBCAP USED, 15", 98-99, SEBRING, WHITE WITH BLACK LUG NUTS, HELD ON BY LUG NUT CAPS. A=SPARKLE SILVER, CHROME LUG CAPS B=WHITE, BLACK LUG NUTS CAPS C=SILVER, BLACK LUG NUTS CAPS.